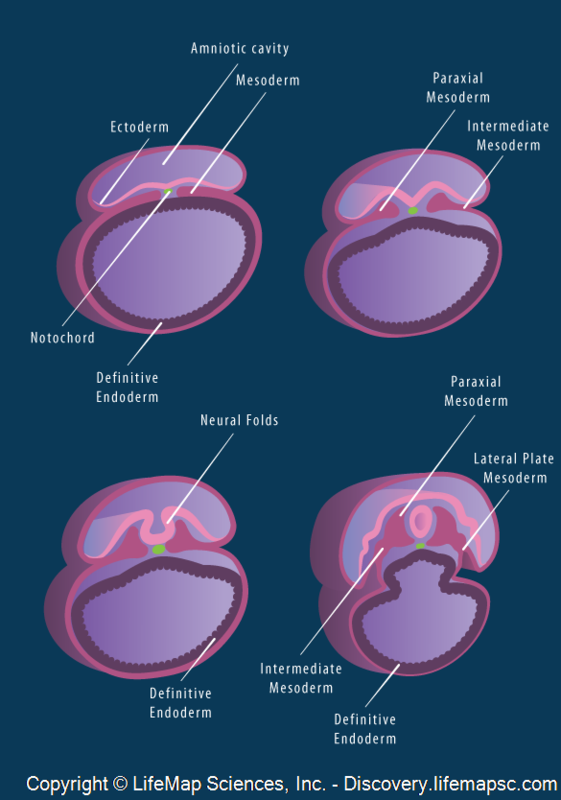 Stages in embryonic mesoderm layers. Top-bottom: Transverse cross section shows the mesoderm germ layer which is sandwiched between the ectoderm and endoderm along the anterior-posterior and medial-lateral axis. Later in development, the paraxial (parallel to the neural folds) and intermediate mesoderm appear. The most distal mesoderm is termed lateral plate mesoderm and will give rise to somatic and splanchnic mesoderm.